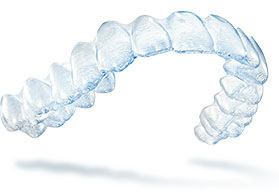 Invisalign will give you the confidence of a fantastic smile, even during treatment. With Invisalign, there are no metal wires or brackets. It’s virtually invisible, which means no one will know you’re straightening your teeth. With Invisalign by Seattle/Bellevue area dentist Dr. Gary Burt, you’ll experience a high tech approach in a spa-like setting. By using invisible aligners made with highly effective and precise 3D computer imaging, we’ll gradually shift your teeth into place. We create custom treatments plans specific to each individual, plotting the exact movements required to achieve your perfect smile. Each aligner is worn for about 2 weeks, taken out only to eat, brush and floss. As you replace each Invisalign aligner with the next, your teeth will move gradually into their final position. Since Invisalign is removable, you don’t have to change your eating habits. And since there is no metal, or wires, you’ll be much more comfortable, and spend far less time in an office getting adjustments. If you’d like to learn more about Invisalign and create a custom treatment plan, please feel free to contact us.